The editors and designers have made a great job of bridging the tricky language divide. I’ve always liked books which start with a text on the front cover. 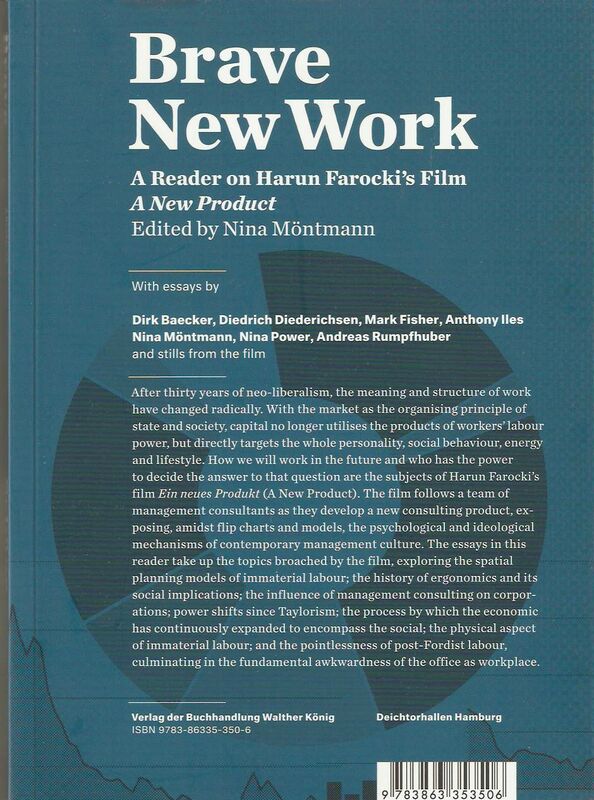 Farocki’s film, A New Product, which was the occasion for the publication of the reader, is great, pithy and hilarious. A trailer can be viewed above. More info about the book below. Published by Deichtorhallen Hamburg / Verlag der Buchandlung Walther König, February 2014. After 30 years of neo-liberalism, the meaning and structure of work have changed radically. With the market as the organising principle of state and society, capital no longer utilises the products of workers’ labour power, but directly targets the whole personality, social behaviour, energy and lifestyle. 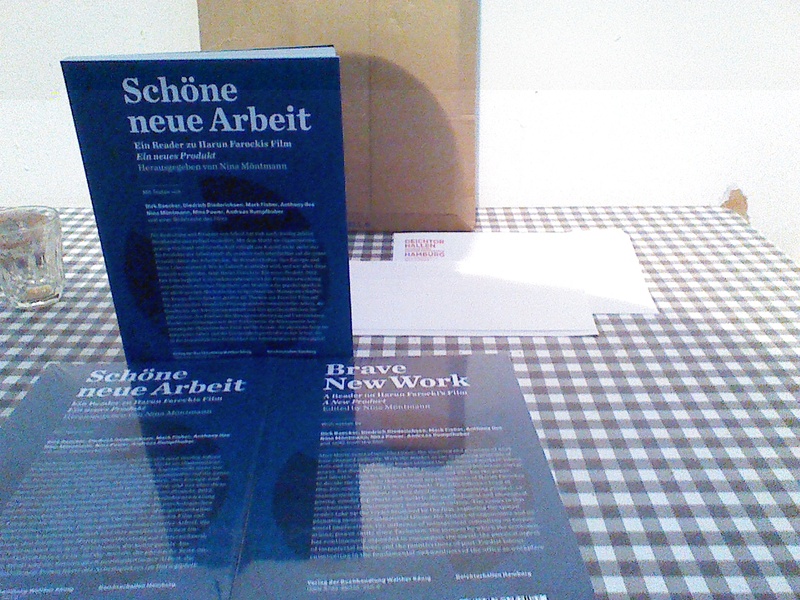 How we will work in the future and who has the power to decide the answer to that question are the subjects of Harun Farocki’s film Ein neues Produkt (A New Product, 2012). The film follows a team of management consultants as they develop a new consulting product, exposing, amidst flip charts and models, the psychological and ideological mechanisms of contemporary management culture. This entry was posted in Books, Published, Writing and tagged Books, Energy, Film, Harun Farocki, Work. Bookmark the permalink.